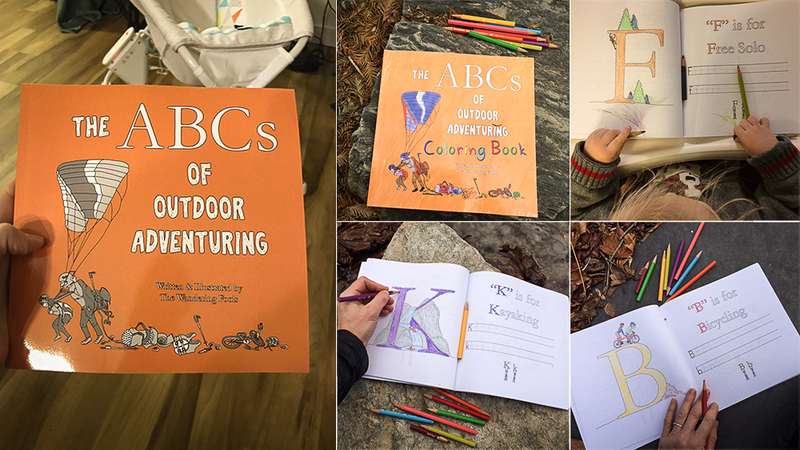 The Wandering Fools would like to present two freshly published books: The ABCs of Outdoor Adventuring & The ABCs of Outdoor Adventuring Coloring Book. Both can be purchased from Amazon today! 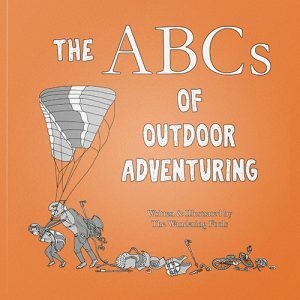 The ABCs of Outdoor Adventuring is a hand-illustrated book that teaches the ABCs by relating each letter to a fun outdoor adventure or concept. 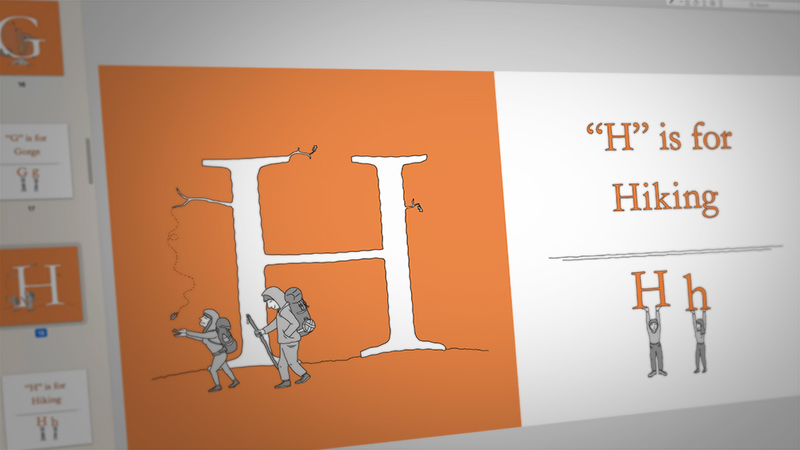 Readers grow their vocabulary while learning hiking, rock climbing, water sports, and camping terminology. 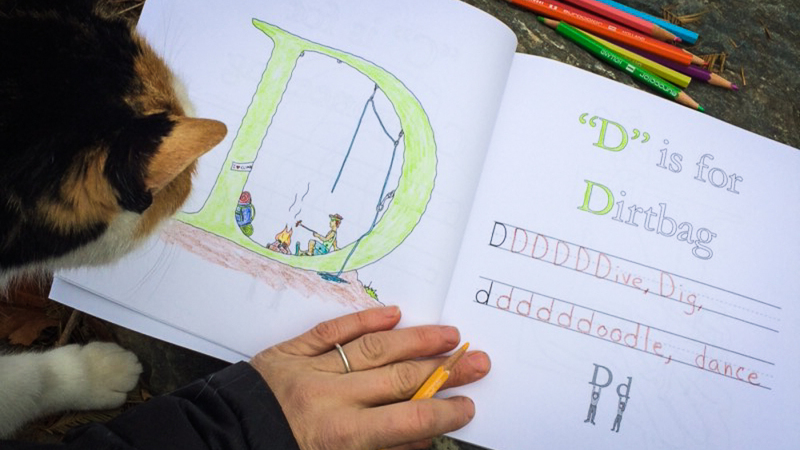 Anyone with a love for the natural world – from casual day hikers to experienced surfers and ambitious mountaineers – will want to share this book with the young learners in their life. 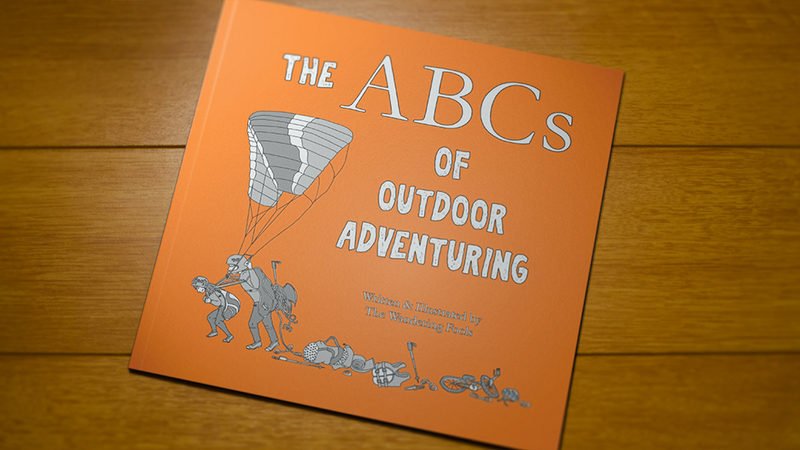 Cover of The ABCs of Outdoor Adventuring. Written & Illustrated by The Wandering Fools. Page “I” in The ABCs of Outdoor Adventuring. Written & Illustrated by The Wandering Fools. 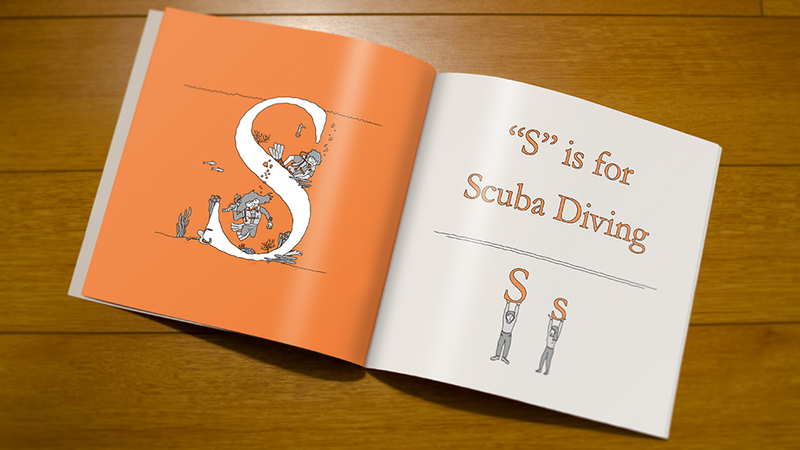 Page “S” in The ABCs of Outdoor Adventuring. Written & Illustrated by The Wandering Fools. 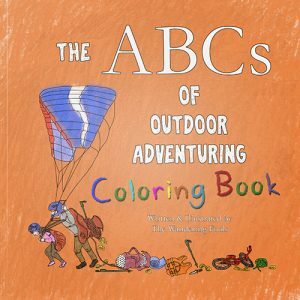 The ABCs of Outdoor Adventuring Coloring Book contains the same imagery as the original ABC adventure; however, readers can color the illustrations and personalize the book by writing about their own favorite activities. 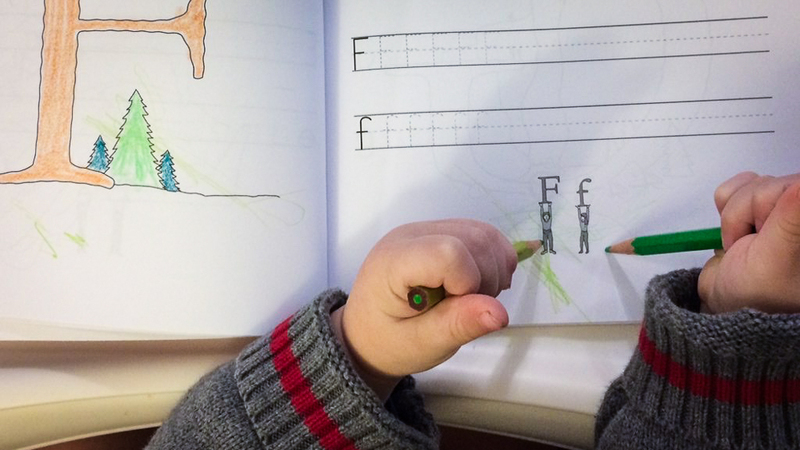 Each alphabet letter is also accompanied by a practice area where young learners can sharpen their penmanship skills in both upper and lowercase lettering. 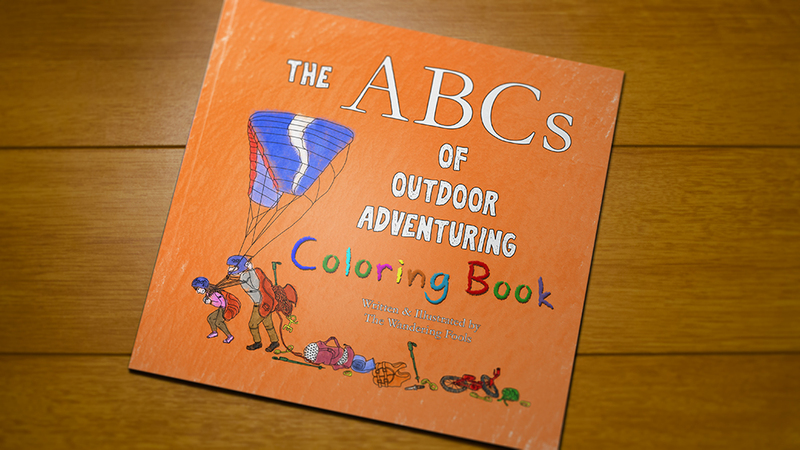 Cover of The ABCs of Outdoor Adventuring Coloring Book. Written & Illustrated by The Wandering Fools. 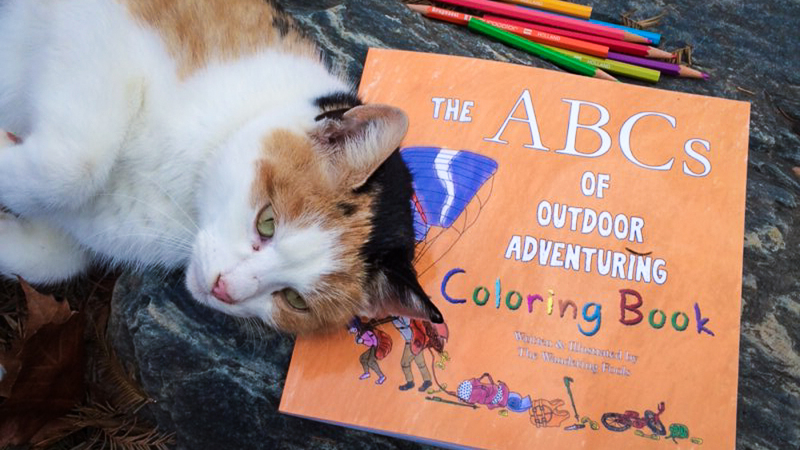 “About Me” page in The ABCs of Outdoor Adventuring Coloring Book. Written & Illustrated by The Wandering Fools. 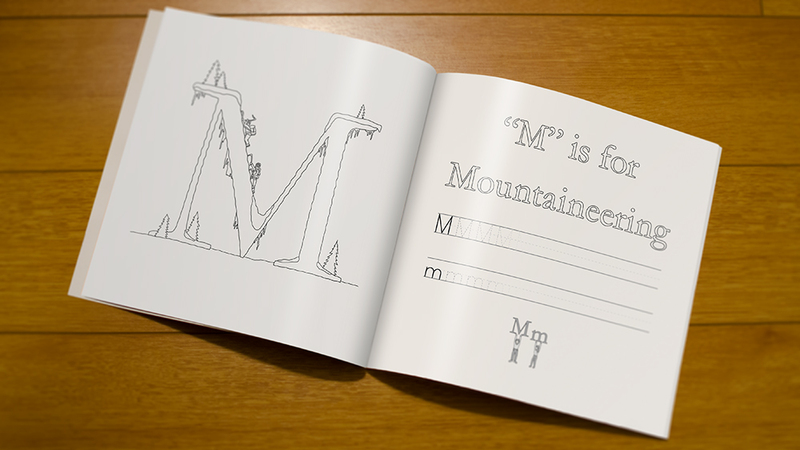 Page “M” in The ABCs of Outdoor Adventuring Coloring Book. Written & illustrated by The Wandering Fools. 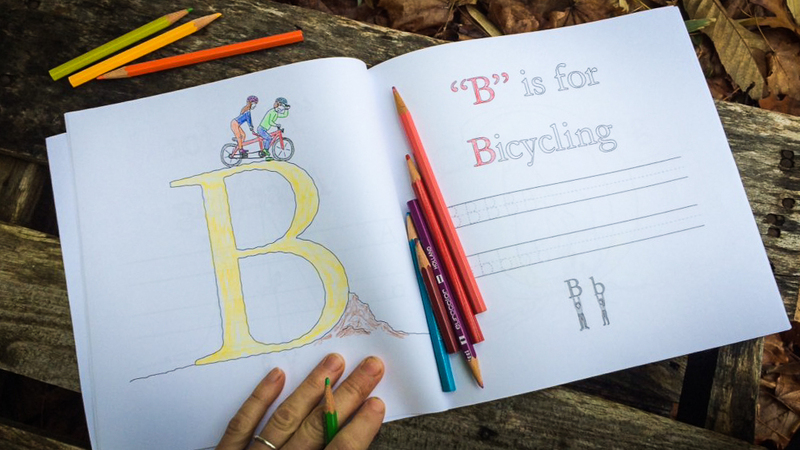 Page “P” in The ABCs of Outdoor Adventuring Coloring Book. Written & Illustrated by The Wandering Fools. Innocently share an idea with your partner. Throw in 3 months of late nights spent drawing, scanning, and inking. Sprinkle in some arguments. Second guess 74% of your creative decisions. Start to resent the project. Consider quitting. Power through. Voila: two books are born. That’s basically it. But for the really curious, read on for a longer account. 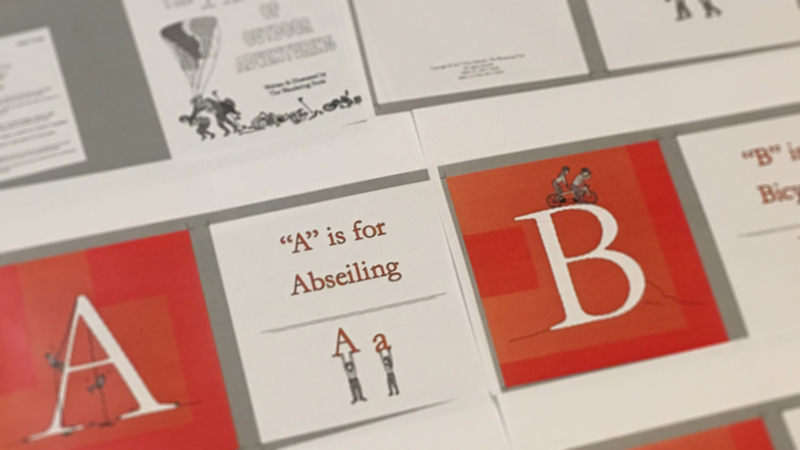 The first thing we did was spend a lot of time coming up with a list of concepts/sports/adventures for each letter of the alphabet. It was a lot harder than we expected: a lot of times we would have three or four really good ideas for a particular letter and zero for another. 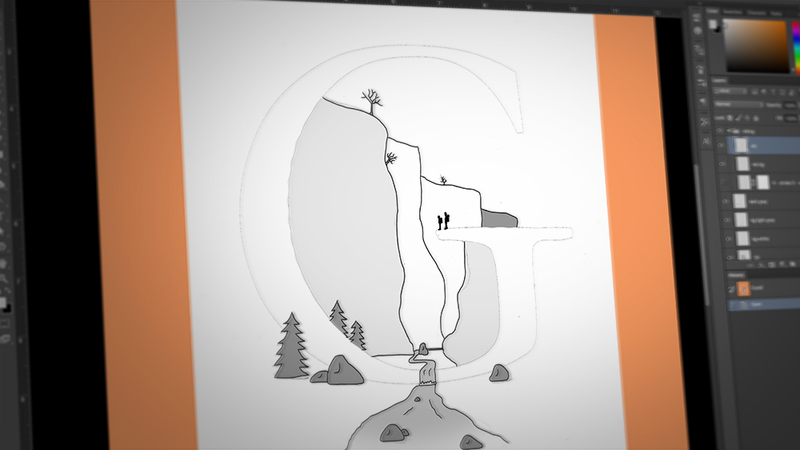 Coming up with ideas for each letter. 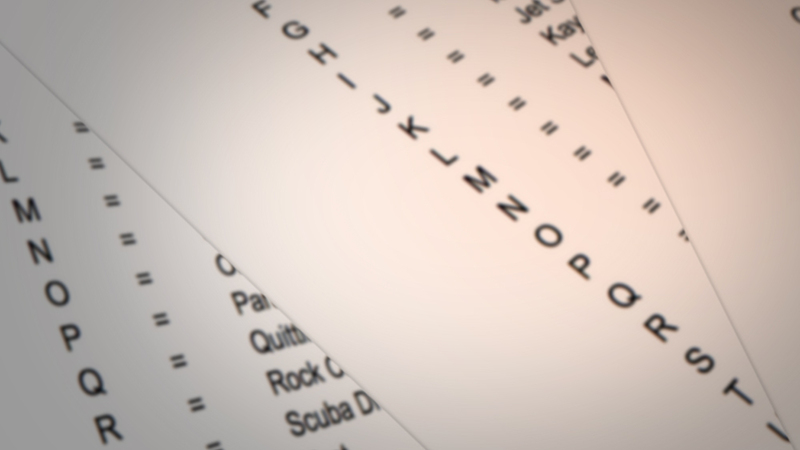 After every letter was assigned a vocabulary word, Mr. Fool sketched rough drafts. 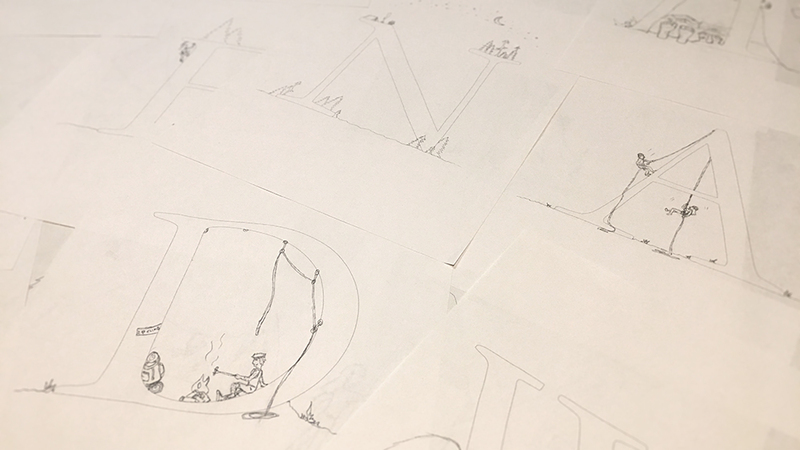 We critiqued the sketches, and Mr. Fool refined his drafts until we were satisfied with the final concept. Completed sketches waiting to be scanned. When the sketches were finalized, we scanned them and used our favorite design software to clean up the images. 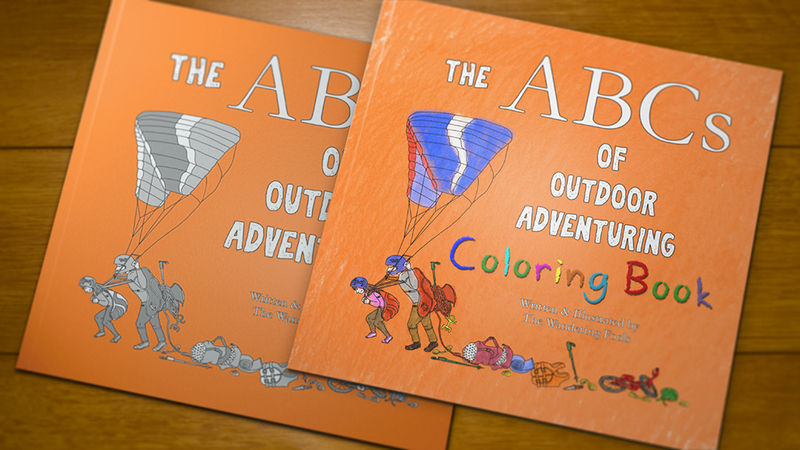 Early on, we thought the illustrations would be simply colored with shades of gray and black. 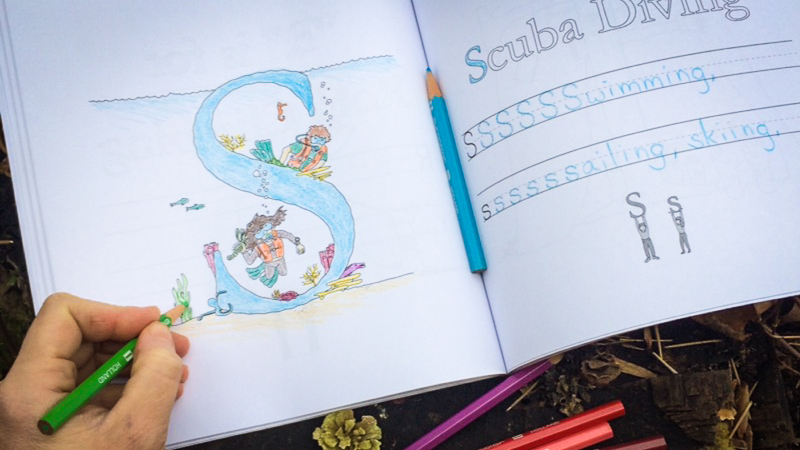 But as we began the process, it was clear the drawings benefited from some splashes of color for depth. The digital inking and coloring process. After the inking and coloring were finished, we exported images to a book-assembly computer program. Testing the layout and margins. Once the book was compiled, we ordered proofs from the printer and found an online retailer.